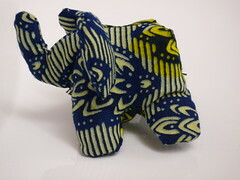 The lovely Emma at Amamu asked me at the beginning of last month to help her run an elephant making workshop. This was another exciting opportunity to get involved and raise money and awareness for a brilliant charity. 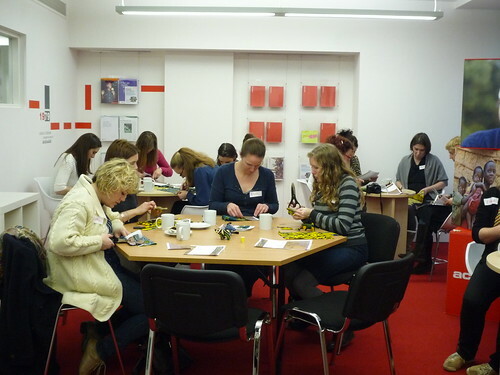 About 16 people turned up to learn how to make one of our little elephants. There was tea and cake too, perfect for a rainy sunday afternoon. 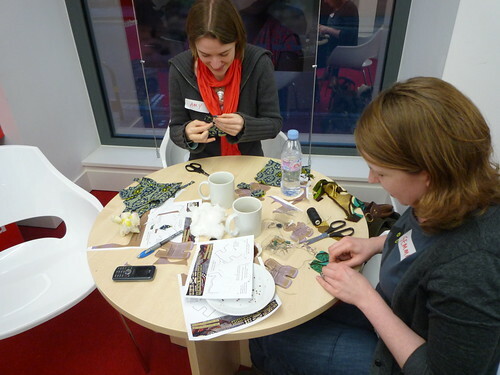 I really hope that everyone who came and joined in had fun and maybe learnt a new skill at the same time. Thank you to everyone for their support. 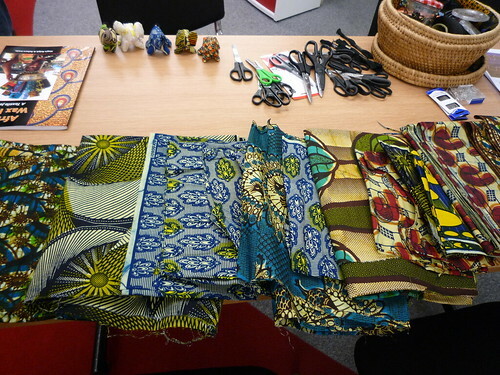 Emma is hoping to run more workshops throughout the year, so watch this space! New sewing machine for Christmas! I am feeling very lucky at the moment as I have just received a new sewing machine for Christmas. I have always been fortunate to get hand me down machines and now I have one which is fresh out of the box! 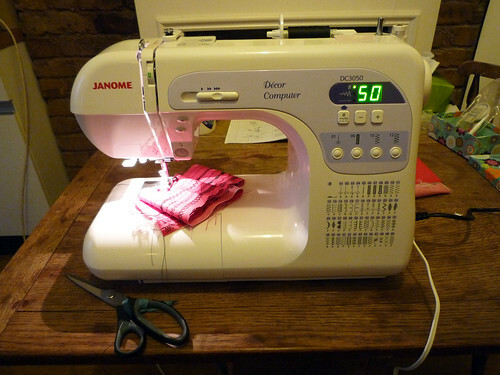 My new machine is a Janome DC3050 Decor Computer. A far cry from my good old manual Frister+Rossman 416 which, don’t get me wrong has always been very reliable. My new Janome is digital and I’ve already had a go at all 50 stitches. The top loading bobbin makes it very easy and less fiddly to load upm plus there’s even a little hook device to make threading up easy peasy. One thing that I noticed straight away, it’s so quiet compared to my old one! It’s going to be very enjoyable to use, I can tell already. The first project i’m going to make on it is a dustcover to protect it. The cover that came with it is perfectly serviceable, but it has no pockets either end to store the foot pedal and all the accessories.